Now who’s afraid of the big bad wolf? I am. 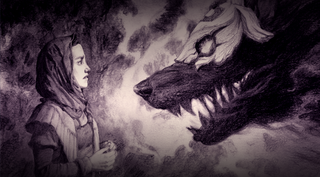 Riot published a short story on its website last night to fill out the backstory for the new League of Legends champion Kindred, and it confirms my earlier suspicions that they’re extremely creepy. Read it here; it’s a tad long, but well worth it.